While it’s no secret that New England sees its share of snow during the winter, it’s rare to see a blizzard with the magnitude of Nemo. 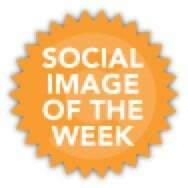 Knowing that their fan’s interest and attention would revolve around the weather, two Boston-area sports teams, the Boston Red Sox and the New England Patriots, weathered the storm the with a stream of clever snow-inspired content to engage their social media communities. The Boston Red Sox may have been in Fort Myers, Florida for spring training, but they left behind their fan-favorite team mascot, Wally the Green Monster, to hold down home base. Pictured waist deep in snow digging out, this Facebook post is equally relatable and adorable. With more than 11,400 likes and over 3,600 shares, it’s clear that Facebook fans of the Boston Red Sox agreed. As Wally and the Boston Red Sox dug out, fans of the New England Patriots were also treated to an impressive range of snow-themed content. 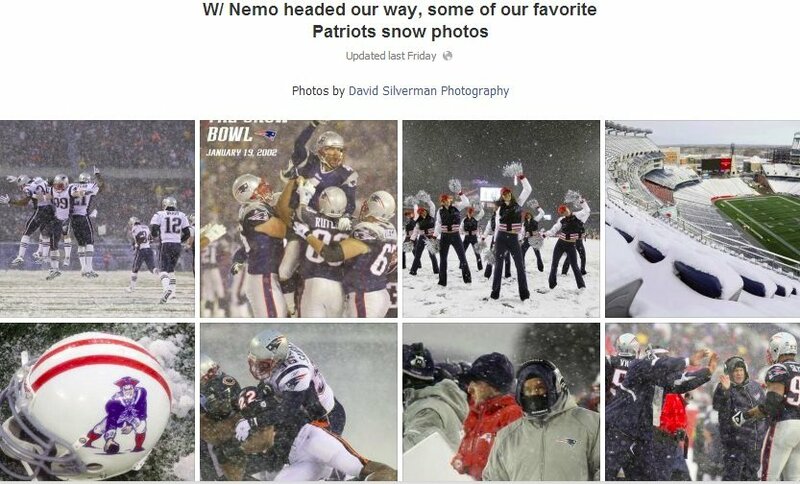 On Friday, February 8, the New England Patriots posted a photo album titled, “W/ Nemo headed our way, some of our favorite Patriots snow photos.” With the impending blizzard on the minds of their fans, this post and album brought it back to the team by offering a chance to relive great game moments during the snow. The overall album secured 15,000+ likes and more than 1,100+ shares, and individual photos within the album also gained an impressive amount of engagement as well. As the height of the storm came and went, the New England Patriots turned to their fans for a series of content focused around fun in the snow and digging out. 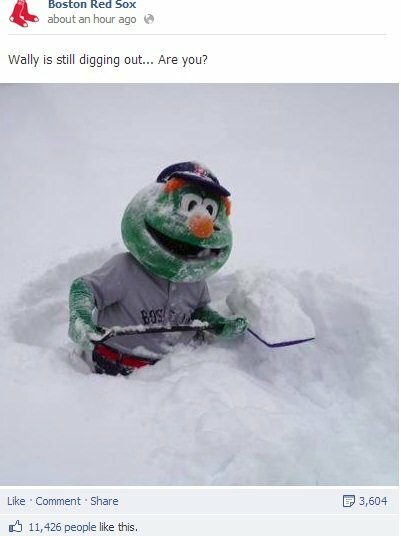 On February 9, the New England Patriots posted another album on Facebook with images of Patriots-themed snowmen with the title, “Extra snow hanging around? Here’s a PATRIOTic way to use it.” This was a great way to spark a dialogue with fans about the snowstorm and a subtle nod to some of the great New England Patriots merchandise available. This album generated more than 15,000 likes and nearly 1,000 shares. 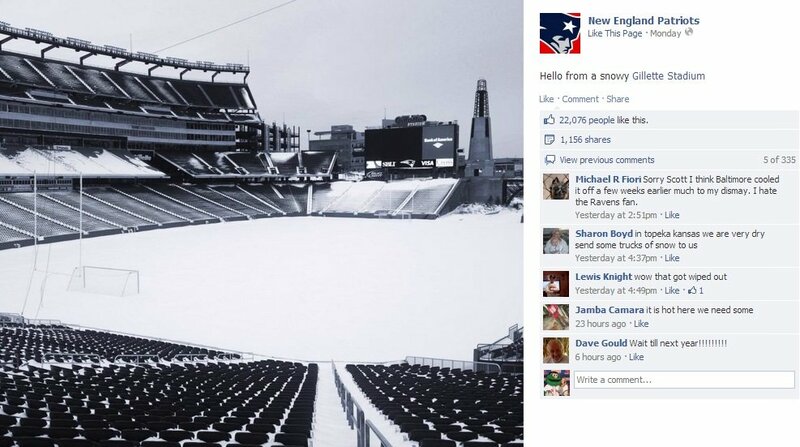 Adding to the snowstorm-related content, the New England Patriots also posted a photo on February 11 of Gillette Stadium, covered in snow, which generated 22,000+ likes and more than 1,100 shares. Focus on Timeliness and Relevancy: Think of what major events your fans and followers are going to care about and how you can develop content to keep your brand top-of-mind. This could range from the news of the day, to events in the community, or holidays. Don’t be too Promotional: It’s not always about selling products or tickets. Notice that none of the above posts pushed links to retail merchandise, or ticket sales, but they succeeded in keeping each team top-of-mind with passionate fans. Have Fun: At the end of the day, people go on Facebook to have fun, not to see your company or brand’s status updates. Crack the code for what’s fun for the fans of your company or brand, and they’ll thank you by engaging with your content.